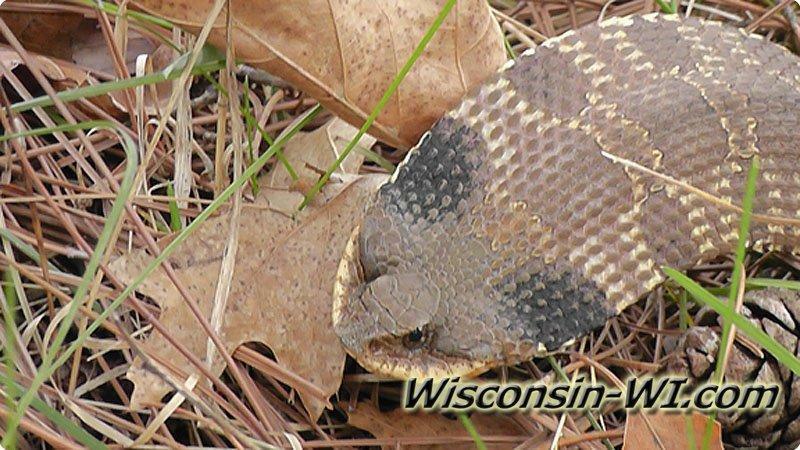 The Eastern Hognose Snake can be widely found throughout the United States including Wisconsin. 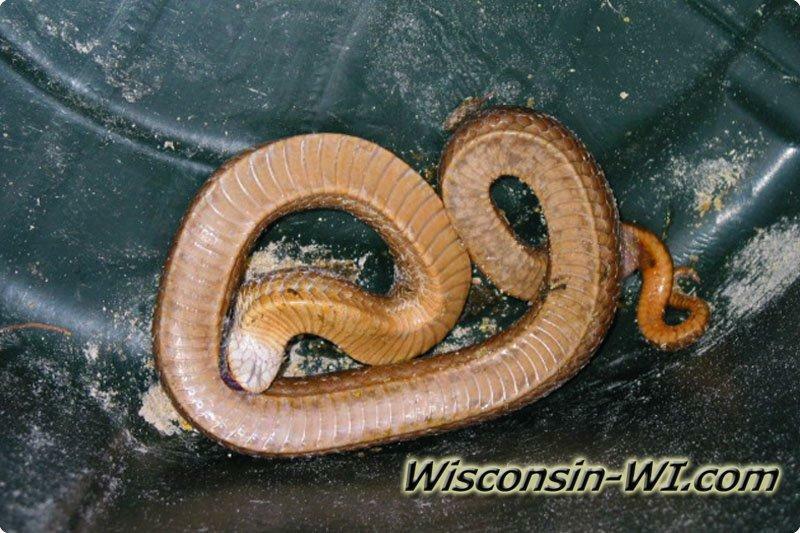 They are considered a safe snake to be around that is only slightly venomous. 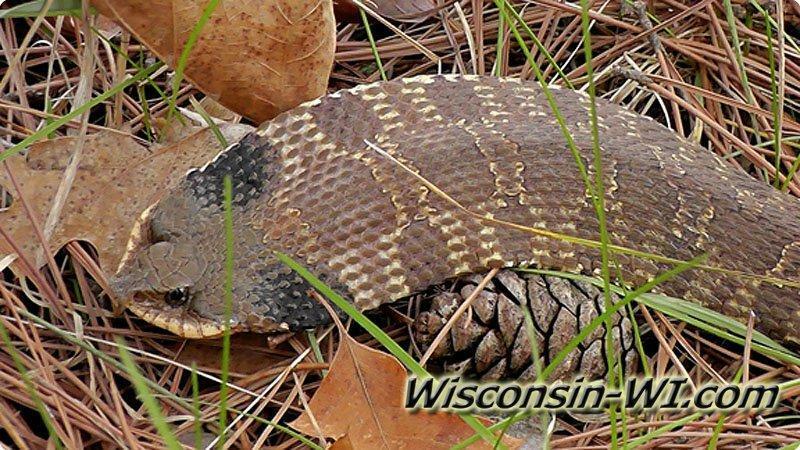 Some have even been known to keep Eastern Hognose Snakes as pets. They have a nose that is turned upward so that they can use it to dig through soil in order to burrow their home. 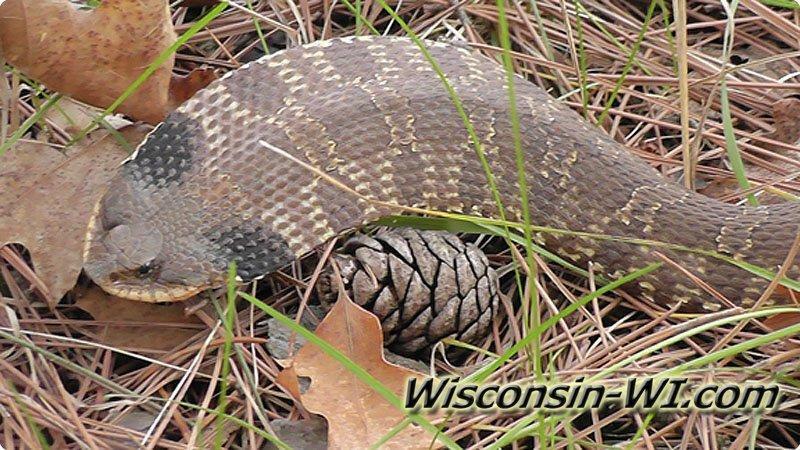 The Eastern Hognose tends to be quite shy and panic if feel threatened; they can flatten out their heads to look more like a cobra and will even roll over & play death. 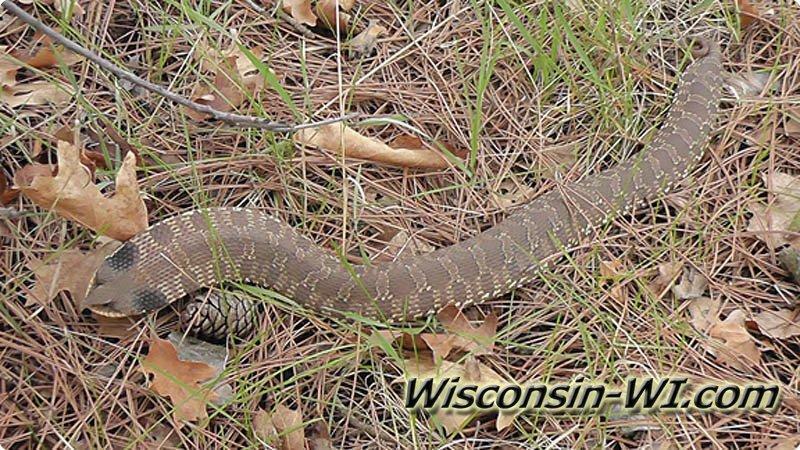 The Eastern Hognose is most active during the spring season in the daytime. 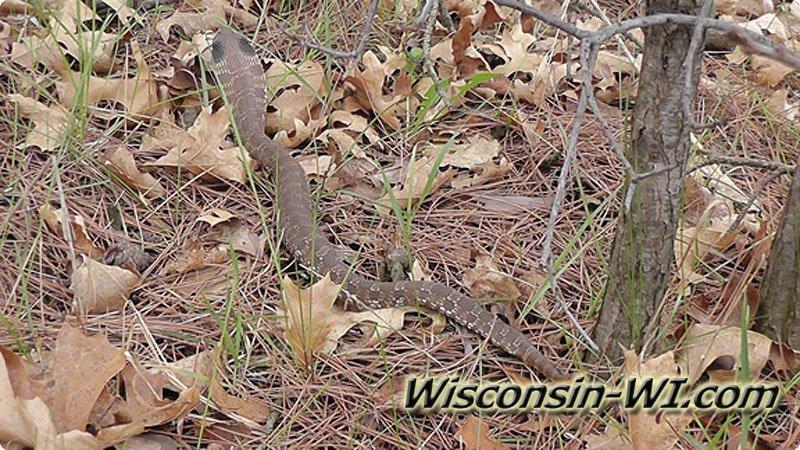 You can find these snakes in a variety of habitats including farmlands, coastlands, woodlands even find some sunning themselves on the warm black top of a road. The favorite meal of the Eastern Hognose Snake is a toad, but they also enjoy small birds, eggs, bugs, smaller snakes, and reptiles. If the prey is already dead they will also eat off of larger animals. When attacking their prey, they stab them with their sharp teeth and then begin to eat them. Whenever a predator comes into the area, the Eastern Hognose Snake is actually quite interesting to watch if you get the chance to. They start out playing dead and then if that doesn’t send the predator walking, they will puff up their throat and make themselves look like a deadly cobra snake. 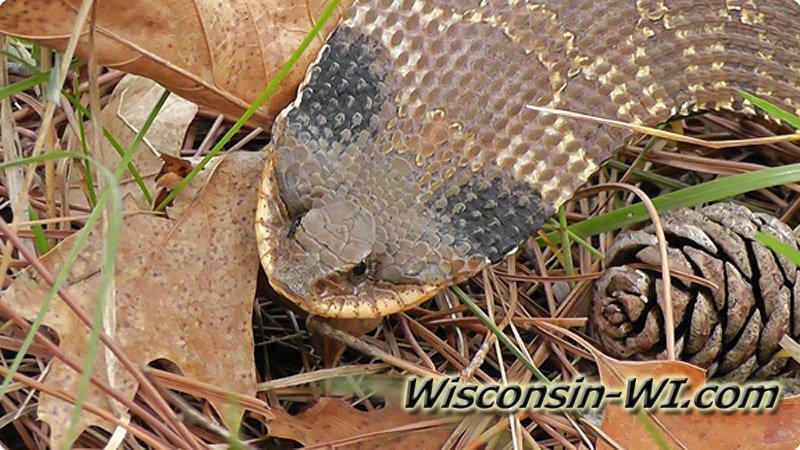 The Video below is of a Eastern Hognose snake puffing up; this little one was sunning himself on a warm blacktop road in Central Wisconsin and was retreating in to the woods in early April. Reproduction: lay 8-40 eggs, April to may mating season, 60-65 days to hatch eggs. Camouflage: Irregular skin pattern helps to blend into surroundings.